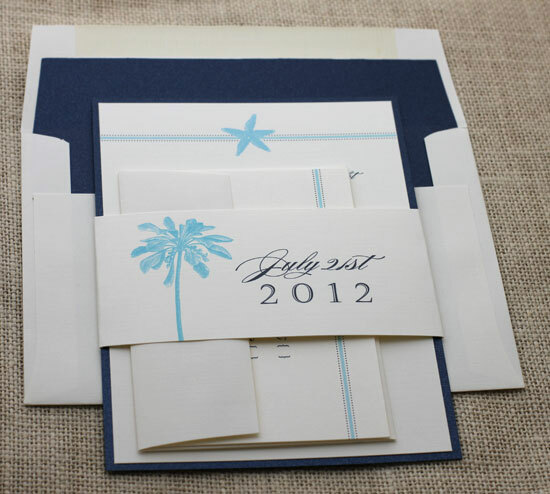 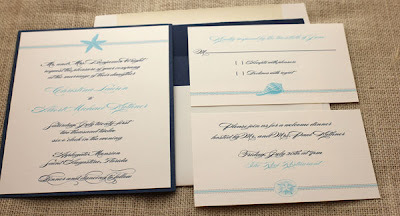 I am pretty in love with our new Beach wedding invitation suite! 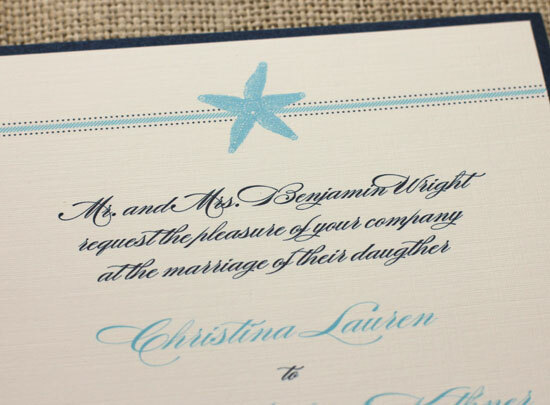 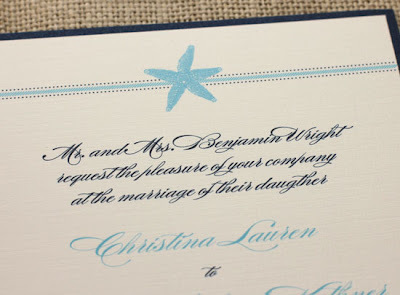 Each card has a different element on it... the invitation has a starfish, the rsvp a shell, the insert a sand dollar and we even have a coordinating belly band with a palm tree motif. 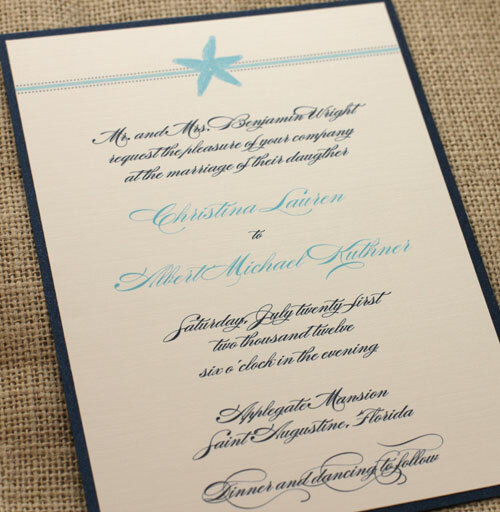 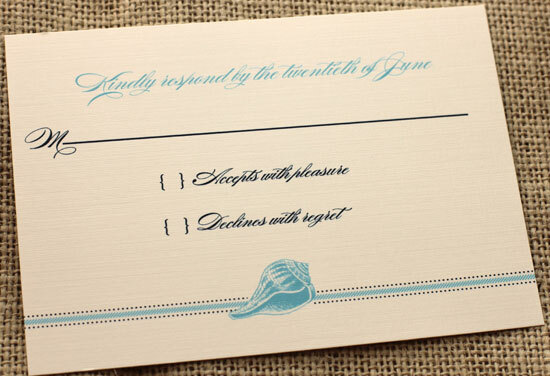 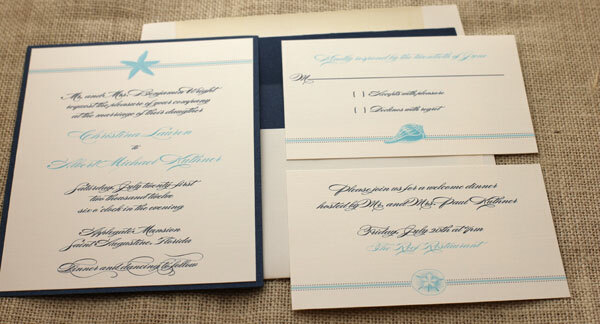 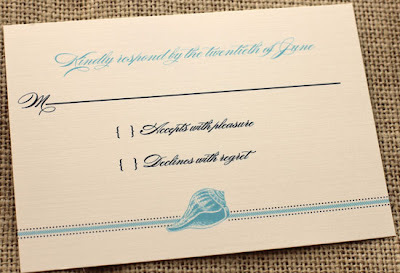 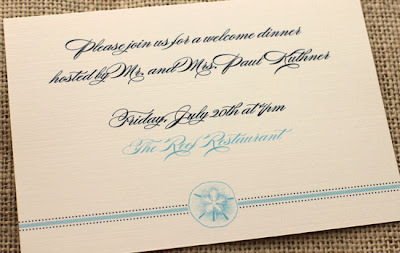 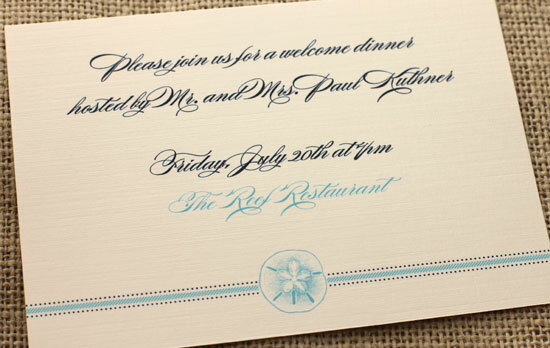 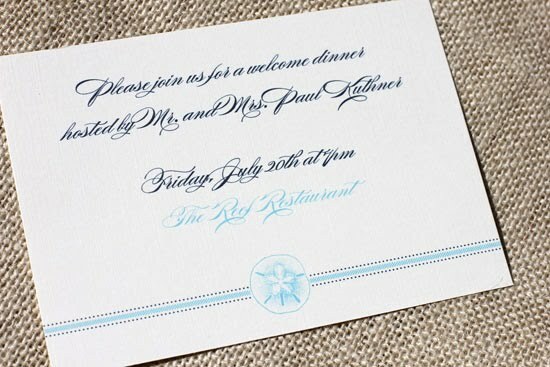 Shown above in navy & robin with Burgues font and a navy metallic invitation backing. 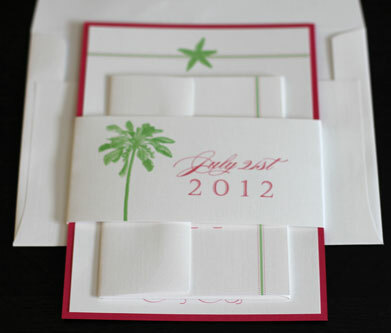 Shown below in hot pink & lime.